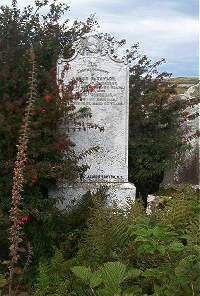 Angus M Taylor died at Guidabest 3rd May 1902 aged 86. Wife Jessie Sinclair died at Boultach 5th July 1881 aged 53. Erected by James Taylor of New Zealand.